Fridays are pretty damn awesome, if you ask me. This is well-known. 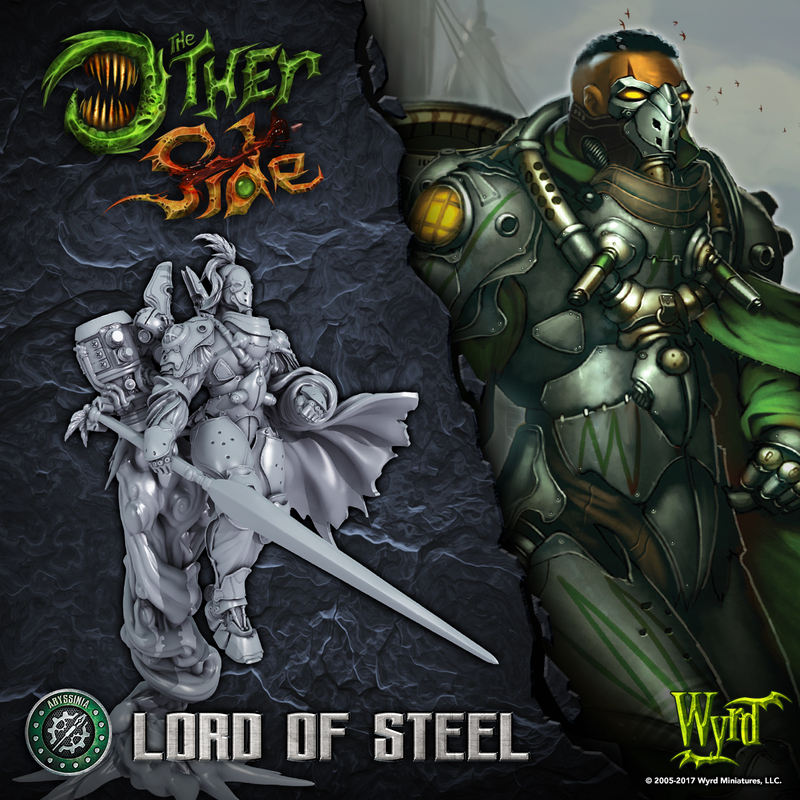 Part of the reason is because Wyrd has their regular previews. Today, for The Other Side, we get a look at another Abyssinian commander. Now, when I think of the name "the Lord of Steel," I have a certain picture in my mind. I have to say, this figure comes pretty close to it.